Pen Cast Player – Livescribes app that plays Echo/Pulse pen audio and handwritten notes created into a pen cast. 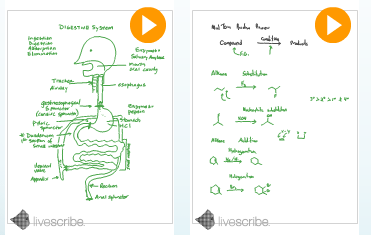 Pen casts can be played on the Internet through Livescribe Educational Pen Casts, linked to your web page or in a Pen Cast on your iPad or iPod Touch. Miriam Webster Dictionary app – On the iPod, iPhone or iPad, the Miriam Webster Dictionary provides Dragon Dictation to record (mic at top to right of the search box) and translate your spoken word into a typed text that is automatically looked up and defined. The word can be spoken aloud using a high quality voice. By selecting/touching a word in the definition, the app will open the dictionary to that words definition. Navigation arrows at the top menu bar allows you to move back and forward to words you have looked up. The app allows you to review recent words and collect favorite words. If you touch a word in the definition it will look that word up in the dictionary. Although it does not read the definition a loud to you. Using the Triple -click voice over function allows text to speech of the definition. 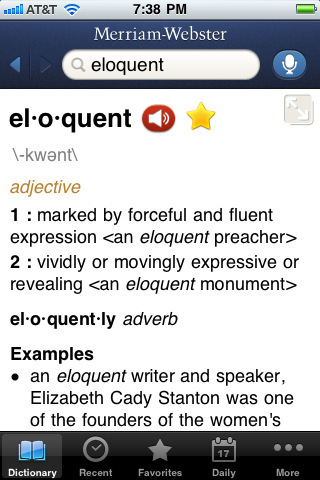 This is a great app for individuals with spelling problems allowing them to speak a word for look up in the dictionary! 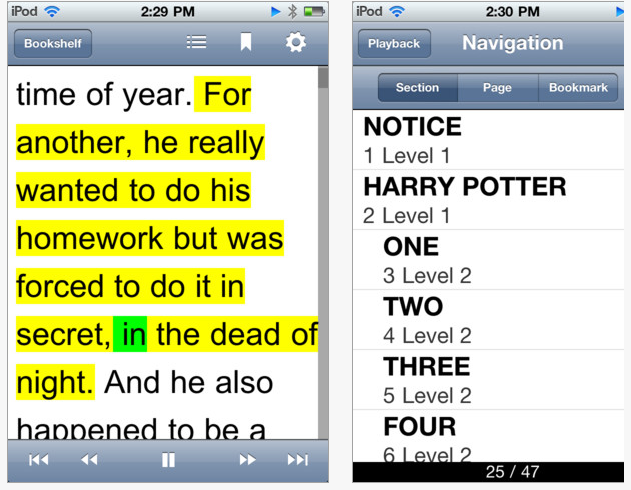 Dragon Dictation – Voice recognition software on your iPad, iPhone or iPod Touch. 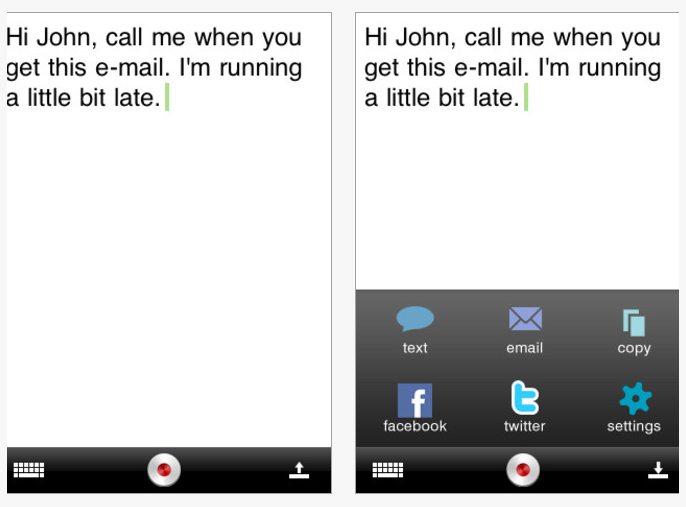 Speak into your devices and have your speech transcribe via cloud computing to text. The text can be copied, emailed or texted. Read2Go App – Bookshare’s mobile app for iPod and iPad. 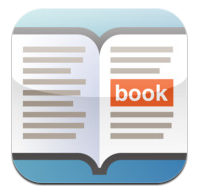 Read2Go allows downloading Bookshare books directly to the apps. Read2Go provides text to speech,bookmarking and along with other tools to access the books and textbooks to those who qualify (those with print disability). Here is a link to a list of 100 iPad Apps Perfect for Middle School students that I stumbled upon. The apps are categorized by subject area. Many apps are familiar but there are many new apps to peruse to see if they fit you or your students needs. Another list, 10 Essential iPad apps for High School Students provides a few more productivity, math, reference and history apps worth checking out. So if you work with older students or their teachers here are some resources to check out! This entry was posted in App Reviews, High School, iPad, iPod, Middle School, Occupational Therapy, Voice Recognition and tagged iPad, iPad apps, Pencast App, Reference apps, special education, Voice Recognition. Bookmark the permalink. Thank you for your comment! I am looking forward to following your Differentiation Daily Blog, what a great resource. Thanks again for your comment!! Given time I hope to have a series of posts on middle and high school apps for students with LD. So much out there and so little time! !